Chris Roberts, 55, from Rhuddlan in north Wales, has been living with dementia for five years. 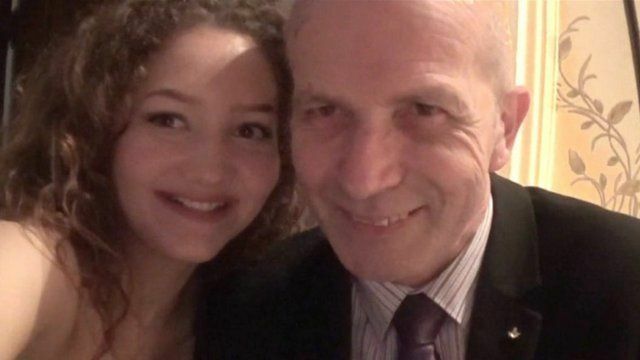 For the past 18 months, Chris, his wife Jayne and daughter Kate have recorded their lives using video diaries and CCTV to show how the family has come to terms with Chris's Alzheimer's diagnosis. Panorama - Living with Dementia: Chris's Story was broadcast on BBC One on Thursday 2 June at 20:00 BST. Or catch up afterwards on BBC iPlayer. This video is part of a Panorama programme entitled Living with Dementia: Chris's story. A digital version of the full programme is here.